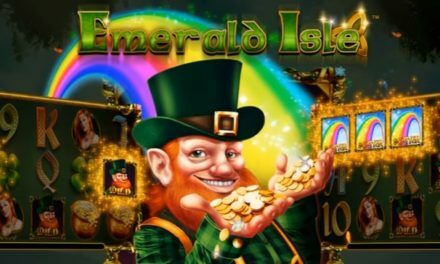 Some love spending their days on the old-school looking IGT slots such as Cleopatra or Pixies of the Forest, others love the gorgeousness and the entertainment of massively successful NetEnt slots like Starburst and Gonzo's Quest. And then there are those who patiently wait for boutique software developers to put out extraordinary games that have unique themes and lots of great features. Well, in that case, Yggdrasil's Nirvana mobile slot will be just the right match for you. Read all we know about Nirvana thus far in our preview. It wasn't so long ago that we reviewed and gave Yggdrasil's Holmes and the Stolen Stones mobile slot a five star rating for it was absolutely loaded with exciting features and five in-game jackpots. This time around, we expect nothing less than perfection from Yggdrasil, a young and ambitious software developing company. Let's see if Nirvana, to be released on November 25th, has got it going on. As always, leave it up to Yggdrasil to come up with a theme that's unlike any other and make a gorgeous slot out of it. They didn't let us in on much information, other than the fact the slot is about three Goddesses. Nope, it's absolutely not like the Golden Goddess of IGT, quite the opposite actually. Based on three beautiful Goddesses which have to do more with the features than the visual appeal of the slot itself and featuring many more mythological creatures, Nirvana appeals to Buddhism for its inspiration. We're not sure that the vivid symbols and the rabbits with deer antlers are exactly peaceful or calming to the mind, but who are we to say. Whatever floats your imaginary boat! On the other hand, you've got the tranquil music and the soothing animations of the Goddesses, so perhaps this slot is meant for some sort of mental and spiritual healing? As long as it improves the health of our wallet too, we don't mind, and it definitely is looking like it would. As you can tell, there is plenty of action in Nirvana, contrary to its peaceful outlook and demeanor. Actually, there quite a few features crammed into this nifty little mobile slot and here is a quick run-down of them. Three or more symbols will trigger the Extra Spins round of 10 to start with, but it can be bumped up to 30 maximum by re-triggering. Then, you'll get to choose which one of the Goddesses you're wanting to entertain: Wild Seeds, Mega Reel or Nudge Reels. As you can already fathom, those aren't just very crappy names for Goddesses, but they're essentially descriptions for the types of features they are. So Wild Seeds will create two, three or four Wilds anywhere on the reels, Mega Reel will create three synced reels and Nudge Reels will nudge the spun reels to maximise your winnings. It is up to you to choose which of these you think will be the most beneficial and bring you the best wins. We could tell you about them, but we think it's best that you give the slot a shot yourself once it's released and find out which one's your favourite. And if you land yourself four or five Extra Spin symbols, a mystical pink flower, then you are awarded a coin prize of 1,000 and 5,000 coins accordingly. Don't worry, you'll still get the extra spins too. We mean this in both the literal and the more figurative way. First of all, Nirvana has some noticeable similarities to the Hook's Heroes, apart from the children's pirate theatre performance theme of course. Just as NetEnt's recent release, Nirvana has three choices to pick from during the extra spins round and a new choice can be made if the extra spins are triggered again. Furthermore, both games award a mini-feature by spinning just 2 scatters. Although the feature is randomly chosen, you get to experience all three pretty often so that you can pick your favourite and choose it during the extra spins round. In sum, we guess that either Yggdrasil are shamelessly borrowing features from the rivals NetEnt or that these specific feature combinations are really trendy among all developers right now. We pray for the latter. Anywho, we sure are excited for Nirvana and we hope you are too! Keep an eye on our mobile slot reviews page, because we will review the slot as soon as it comes out, so that you know if it's worth your time and where to get the best deal to play it!